Delighted Momma: Our New Addition! 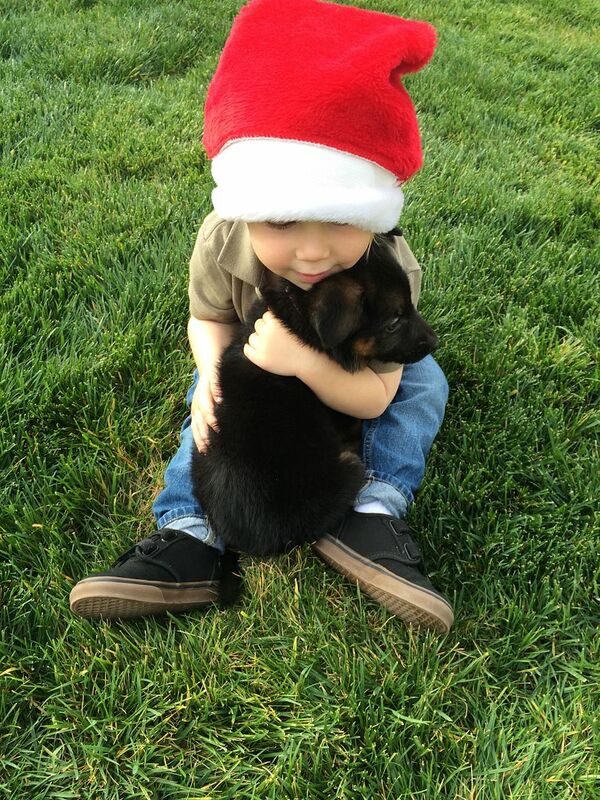 For Christmas Ian and I got the boys a puppy! 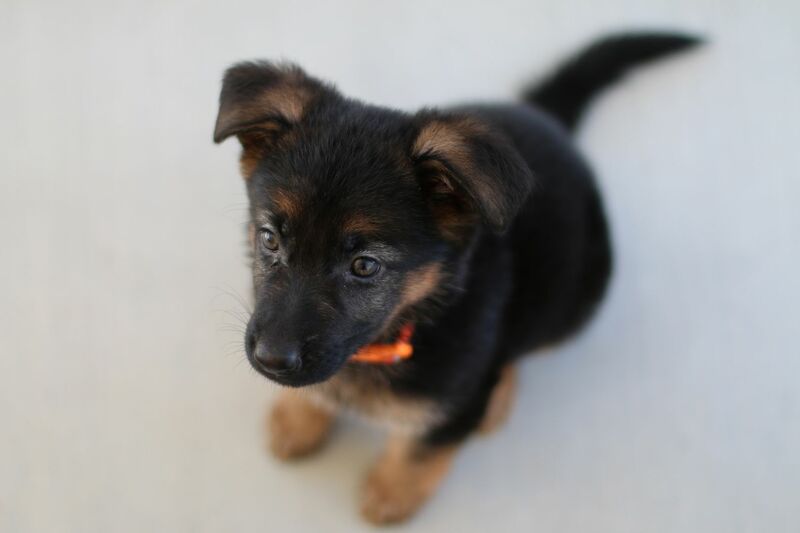 Her name is Molly and she is an 8 week old German Shepherd and just about the sweetest thing ever. The original plan was to have Ian pick her up on Christmas Eve and we were going to hide her until Christmas morning. No idea how we thought that was going to happen ha! 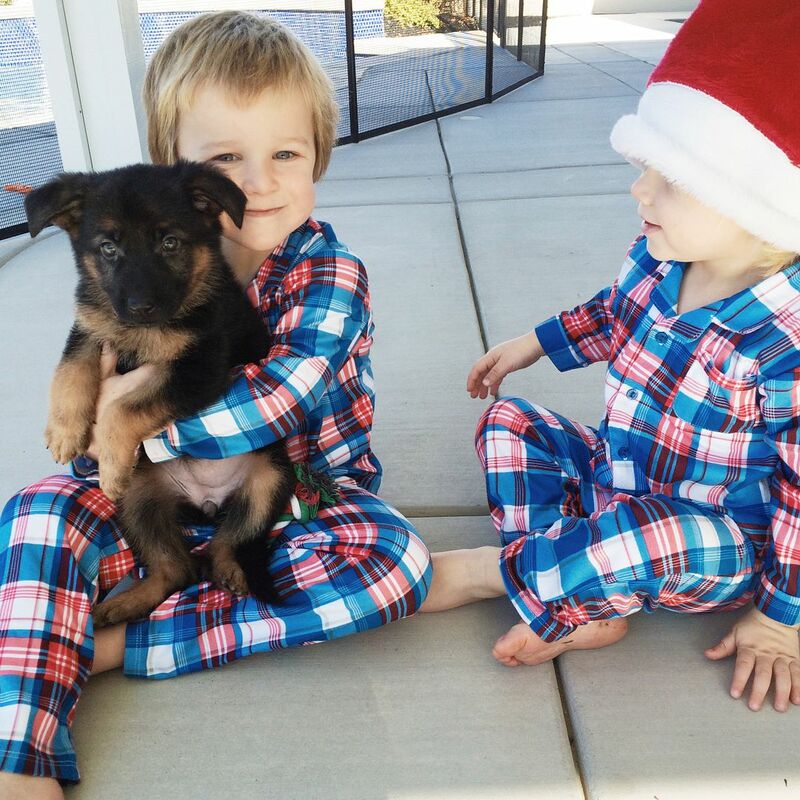 So when he picked her up we decided we just couldn't wait any longer and ended up giving her to the boys on Christmas Eve. We told them we had a surprise for them in the backyard and they headed on back. Max was jumping around with excitement and kept asking if she was ours for forever and Ronin literally cried he was so happy. She fits in perfectly and is so mellow and awesome. These are the cutest pictures ever! Seriously, I have no heart left because it melted away. She is so precious! So cool that the boys will have an awesome dog to grow up with. 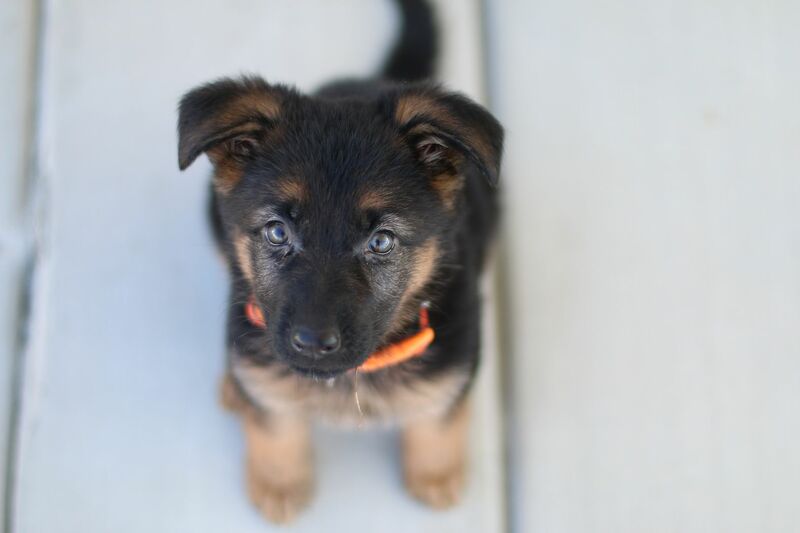 I know so many people with little kids that have German shepherds and all say they are a perfect dog for kids. Have fun and merry Christmas! Oh my goodness...so precious!! We had several growing up, my brother has 3 and my daughter 1. They are awesome dogs. Adorable!!! 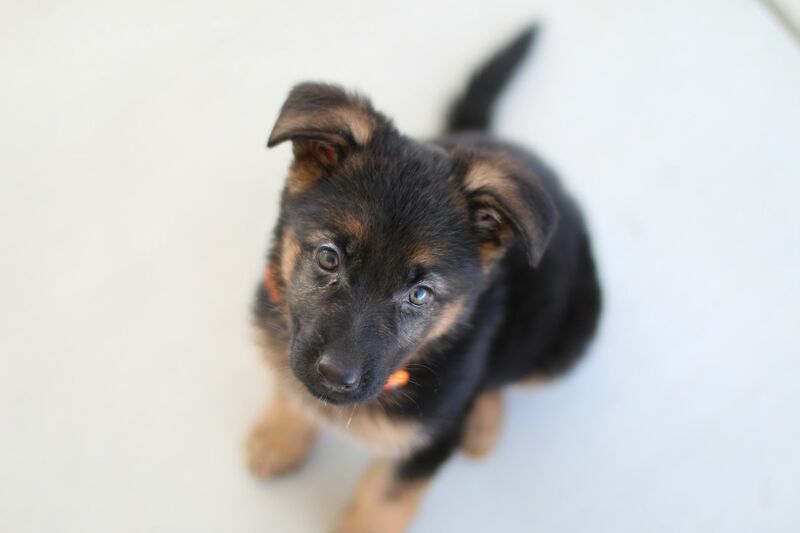 We are searching different dog breeds and have wondered about german shepards! Do they need a big yard? Do they shed a lot? Curious why you chose her! What a perfect chrismtas! Congratulations - she is beautiful! Can't wait to see her and your boys grow up together! I bet they were SO excited!!! Oh, my God, I DIE. Could she be any cuter!?!? What a sweetie! All 3 of them:) Happy New Year!